When the Province of British Columbia needed to provide a transportation solution that would reduce auto use and create an alternative to single occupancy vehicles for a neighborhood in Vancouver, plans were made to construct the Evergreen Line Rapid Transit Project. The extension, along with its six new stations, will provide a much needed transportation method for the communities of Burnaby, Coquitlam and Port Moody. As part of an extension of Vancouver’s SkyTrain system, the 11-kilometer (6.82-mile) light rail transit will connect with and extend the existing SkyTrain System by approximately 79.6 kilometers (49.4 miles). Once complete, the system will become the longest rapid transit system in Canada. The project required extensive road reconfigurations, relocation of existing utilities, building at-grade and elevated guideways, construction of tunnels and stations; as well as installing train operating systems. 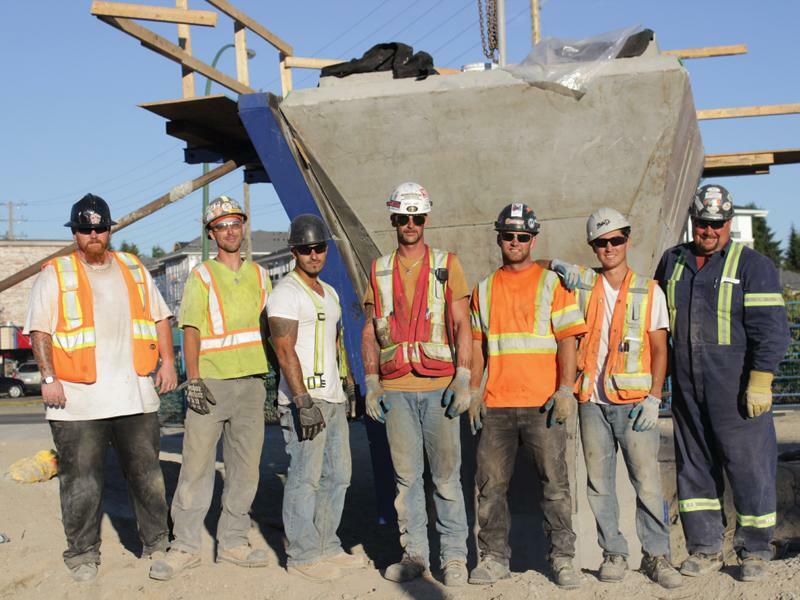 As such, general contractor, SGJV – A joint Venture of SNC Lavalin Constructors (Western) Inc. & Graham Building Services, needed a formwork solution that would meet their strict safety regulations at the same time as meeting their tight time constraints. Doka provided 64-inch diameter round column forms and Doka Girder Forms to form the 10 station bents at the Burquitlam Station. The modular Doka Girder Forms can be ganged and picked in very large sections. The 10 post-tensioned bents range from 44 to 52 feet in length, 6 feet, 6 ¾ inches wide and 6 feet, 10 ¾ inches deep. The Doka Girder Formwork was supported by 140 kip support brackets approximately 24 feet above grade. Most of the assembly work was done safely at ground level without relying on expensive crane time. This kept the productivity high and costs low. Custom steel girder octagonal column forms were also supplied along with custom steel tulip caps to form the 50 A1 Piers required for the Evergreen Line. The A1 octagonal columns ranged in height from 28 feet and were 5 feet, 3 inches wide on each side. To provide a distinct look, the octagonal columns were furnished with a custom reveal that ran the entire length of the column. Columns were built in modular sections allowing SGJV the flexibility to meet the multiple height requirements. The custom 9-foot, 8 1/8-inch-high tulip caps flared from 5 feet, 3 inches at the base to 11 feet, 9 ¾ inches by 8 feet, 9 ½ inches at the top. This design provided a unique esthetic touch that blended with the existing SkyTrain line. Custom Steel A2 columns measuring 6 feet, 6 ¾ inches were poured up to 30 feet high. Doka supplied 2-foot, 8-inch custom filleted corners for a unique aspect. According to Warren Calderone, Account Manager, Doka North America, many of SGJV’s crew hadn’t worked with Girder Forms before. 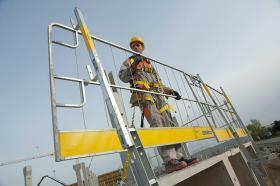 “Doka shares SGJV’s concern for the safety of their workers. With this in mind, Doka took a hands-on approach to field service. This involved the pre-planning, training of crew, assembly instruction of the formwork and erection of the Girder Forms ready for concrete,” said Calderone. When completed, the Evergreen Line will provide a fast, reliable transportation solution while supporting environmental goals to reduce car trips and preserve green space. The project is slated for completion in the summer of 2016. Thank you for your interest - Forming the Evergreen Line. Thank you very much for your interest - Forming the Evergreen Line.